A delicious blend of berries and creamy coconut, combined with the therapeutic benefits of antioxidant rich green tea, Zen Berry is a filling every day kind of smoothie. The good fats in the coconut flesh found in Zen Berry are rapidly absorbed and are immediately available for your body to burn as energy (not stored as fat!). The mix of berries & green tea in the Zen Berry is a match made in flavour heaven but they are also super high in antioxidants to prevent and repair premature skin aging. Zen Berry is the ideal breakfast or mid morning smoothie free from nuts. 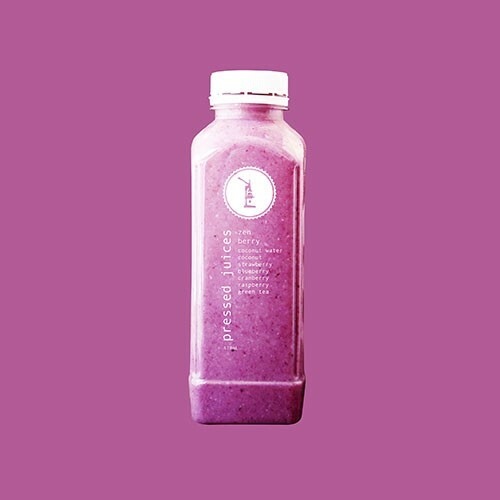 Whether you’re looking for an immunity boost, want to give your skin a helping hand or are after a sweeter tasting smoothie, the Zen Berry should tick a couple of boxes for you!